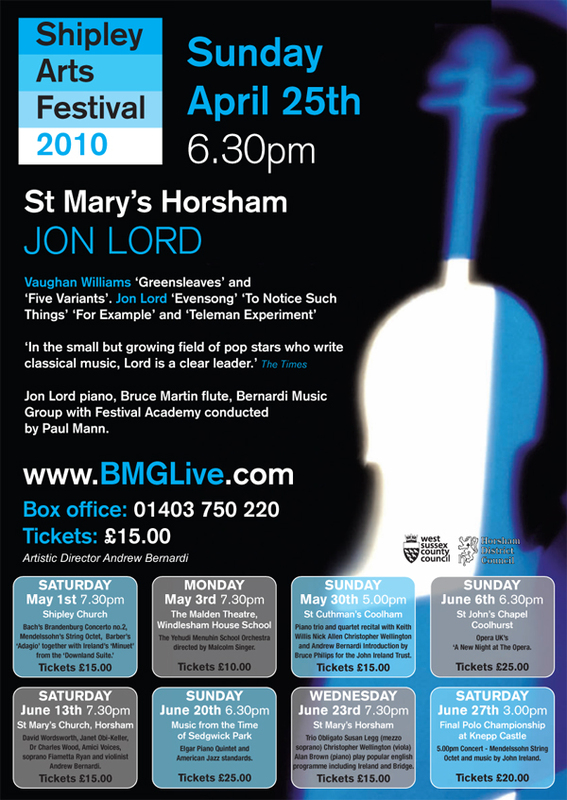 On April 25, Jon Lord will perform his new piece, To Notice Such Things, in Horsham, West Sussex. 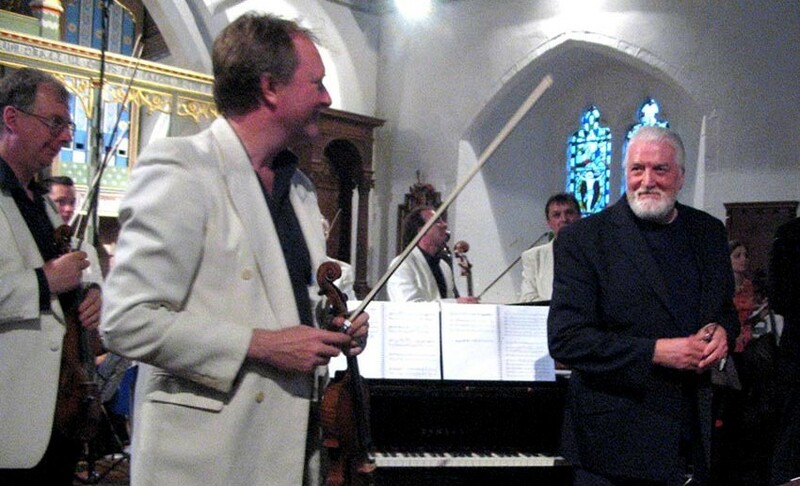 Billed as ‘a very special idylic evening of classical string music with flute’, Jon Lord will be performing with members of the Bernardi Music Group with Festival Academy conducted by Paul Mann. The full program for the evening is: Vaughan Williams‘ Greensleeves and Five Variants followed by Jon Lord’s Evening Song, The Telemann Experiment, To Notice Such Things and For Example. The concert is part of Shipley Arts Festival, who commissioned To Notice Such Things last spring – see photo above from premiere performance. Released last month on Avie Records, To Notice Such Things, was inspired by, and is dedicated to the memory of Jon Lord’s friend Sir John Mortimer, the English barrister, dramatist, screenwriter, author and creator of Rumpole of The Bailey, who died in January of 2009.